As a partner of business and a guardian of trade, Singapore Customs strives to strike a fine balance between making sure sufficient controls are in place to interdict illicit trade, and ensuring that legitimate trade continues to flow unhindered. This requires Singapore Customs to be adept at data analysis, which strengthens enforcement and boosts compliance by the trading community. Accurate profiling and targeting enhance the effectiveness of Singapore Customs’ compliance checks. This also sends a clear message to would-be smugglers that despite the huge volume of goods crossing the country’s borders, Singapore Customs remains highly capable in detecting illegitimate or fraudulent transactions. Data collection is the first step in the data analysis process. Singapore Customs obtains data from multiple data sources. Such sources of data include information from Customs declarations, other domestic agencies, commercially available databases, and open source information platforms. Information is also obtained from intelligence sources, of local origin and via international collaborative efforts such as feeds from the WCO Regional Intelligence Liaison Office (RILO). The collected data, which may be in a structured or unstructured form, may not be fed into the same risk engine. Some of the data that has been collected is used to substantiate an analysis. It is also important to ascertain the reliability and validity of collected data, which Singapore Customs does through various means, including verifying the data against the relevant supporting trade documents received. Along with analysing historical data, Singapore Customs ‘scans the environment’ to identify evolving trends and patterns, assesses their impact, and responds to threats and opportunities posed by them. With the advancements in data analytics, i.e. the pursuit of extracting meaning from raw data using specialized computer systems, Singapore Customs has endeavoured to strengthen its data analytics capabilities by progressing from descriptive analytics to the use of predictive analytics. To make sense of the data that it collects, Singapore Customs leverages its data warehouse where voluminous collected data is stored, such as shipment clearance times and declaration-related information. Using data extraction tools, officers piece together information from different data sources, and establish relationships and links. Through this approach, the officers are able to observe deviations, and identify specific trends and patterns in the trading environment. Singapore Customs has also implemented an anomaly-detection business intelligence (BI) tool to flag shipments whose details fall out of the norm. On a real-time basis, the tool risk-scores Customs declarations based on pre-defined criteria and historical datasets in order to identify anomalies. Apart from identifying shipments that are out of the norm, Singapore Customs also analyses the similarities in Customs declarations. Customs declarations which exhibit extreme similarities could be an indicator of rampant incorrect declarations. As there are continual developments in the area of data analytics, Customs officers are required to keep abreast of new technologies, and constantly upgrade their knowledge. Singapore Customs also actively engages other government agencies and Customs administrations to learn about their experiences and best practices in the application of data analytics for fraud detection, as well as developments in data analytics capabilities. Moving forward, Singapore Customs is exploring ‘machine learning,’ i.e. a method of data analysis that automates analytical model building and allows computers to find hidden insights without being explicitly programmed to look for them, in order to further develop Customs’ predictive capabilities in targeting. By analyzing data, such as data on historical shipment trends and modus operandi (MO), Singapore Customs officers are able to triangulate irregularities that could, for example, suggest non-compliance, and use the results to target suspicious shipments for inspection. The outcome of these inspections also enriches the risk profiling capabilities of Singapore Customs. To illustrate: in a case involving the detection of duty-unpaid cigarettes, Singapore Customs officers, through data analysis, observed that the weight of goods declared in a declaration was lower than the historical norm. In addition, shipment details were found to be inconsistent with an importer’s past business activities. These irregularities were assessed to fit the risk profile of historical cases involving similar modus operandi, providing officers with enough just cause to target the shipment for inspection, which led to the detection of duty-unpaid cigarettes. Singapore Customs has a dedicated team doing threat assessment on shipments and producing reports on evolving trends and patterns. The team comprises officers who are trained in diverse disciplines such as engineering, economics and social sciences. At the organizational level, all Singapore Customs officers are taught to apply risk assessment in various aspects of Customs’ work. The officers are also subject to job rotations every 3 to 5 years, enabling them to broaden their knowledge and experience, and build up their risk assessment capabilities as a whole. The ‘soft knowledge’ acquired by Singapore Customs officers from data analysis is critical in decision-making. Such knowledge is strongly associated with officers’ domain knowledge and experience. As such, the two critical factors contributing to the success of data analytics are the soft knowledge of Singapore Customs officers, as well as the hard elements of data analytics tools. 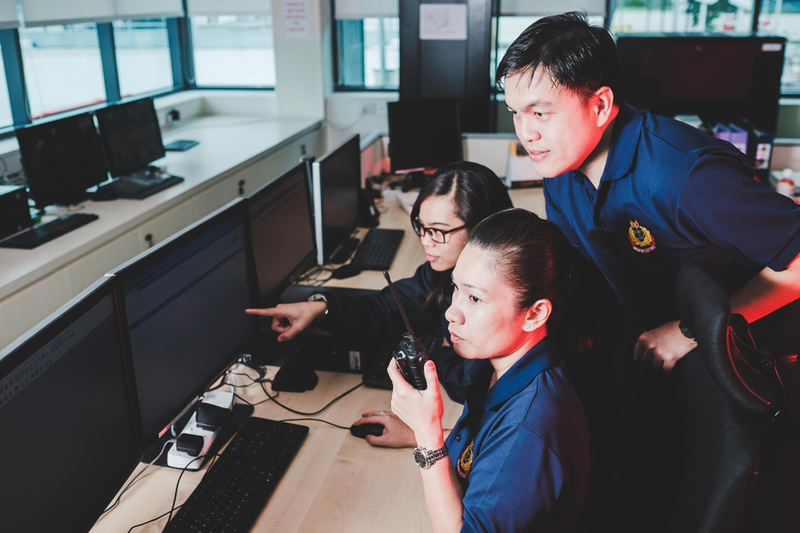 Singapore Customs officers performing data analysis are provided with comprehensive training so that they understand the rules and underlying theories of data. They are also given hands-on experience in the enforcement and compliance aspects of Customs’ work. Regular joint training sessions with other Customs administrations and other domestic agencies are also conducted to enhance the officers’ competencies in data analytics. For instance, Singapore Customs hosted a joint training session with the United States’ Customs and Border Protection (US CBP) agency on 16 Nov 2016 to share insights and experiences in data analytics and targeting. Such collaboration positively impacted both administrations, and is in line with international WCO norms promoting Customs-to-Customs cooperation. Through courses, formal meetings and site visits to relevant industry sectors, Singapore Customs officers have acquired insights into the evolving business environment, including industry trends and consumer behaviour, all of which have added further value to their knowledge base. For instance, to understand the practices of air courier companies, Singapore Customs officers conducted site visits to air courier companies operating in Singapore to learn more about their operations and processes. These visits enabled a clearer understanding to be gained of how the industry operates, and aided in strengthening data analysis capabilities as Singapore Customs is able to input operational behaviour norms into our models to flag any anomalies. Recognizing the strategic importance of data analysis, Singapore Customs continues to refine its data sources and explore other methodologies for data collection, in order to ensure that relevant and value-adding information is collected and securely stored in its data warehouse. In addition, Singapore Customs actively monitors the latest developments in the field of data analytics and available technologies, through study visits to domestic agencies which have adopted data analytics in their operations, and engagements with commercial vendors. By doing so, Singapore Customs is better able to understand the advancements in related technology, including products/tools, available on the market.